This week also marks the end of the most tumultuous 365 days in the station's 31-year history, with more intrigue to come. Station signage at the WFAN studios in Manhattan. So it always has been, with the dog days – and hosts’ vacations – over at last, football back and baseball heating up. But for the FAN, this week also marks the end of the most tumultuous 365 days in the station’s 31-year history, with more intrigue to come this autumn and beyond. To review: It was at 3:45 a.m. on Sept. 6, 2017, that federal authorities arrested morning co-host Craig Carton at his Manhattan home and charged him with securities and wire fraud. A week later, he resigned. That itself was a bombshell that removed a successful personality 10 years into his term. Who knew it only was the beginning? Come November, the station announced Gregg Giannotti would replace Carton and that after a long, circuitous search for Mike Francesa’s afternoon successors, Chris Carlin, Maggie Gray and Bart Scott would get the nod. Francesa’s long farewell tour concluded with an emotional show on Dec. 15. But in April WFAN’s new owner, Entercom, brought him back effective May 1, pushing “CMB” into a shorter, earlier, less prestigious time slot. That left Roberts and Joe Benigno as the only day part unaffected by the chaos. Until July. A former sales executive filed a $5-million lawsuit against the station, alleging a sexually charged, alcohol-drenched culture, one that included unwelcome comments from Benigno. He has been on leave since, but is expected to return to the air at 10 a.m. Monday. But there now is an end in sight, with Benigno expected to return to work on Monday morning. Benigno, who has denied any wrongdoing through his representatives, is believed to be under contract through 2020. Francesa never has lost a full quarterly ratings book to Michael Kay, ESPN New York’s afternoon host, but Kay has been creeping closer in recent years. By returning, Francesa has put his long winning streak on the line, and Kay figures to have at least seven more tries before Francesa’s contract runs out at the end of 2020. The autumn ratings period starts Sept. 13. Meanwhile, Francesa’s Sunday NFL show will return, now exclusively on his new app. Its monthly price of $8.99 has been widely criticized as too aggressive, so the subscription data will be fascinating – if a journalist gets his or her hands on it. Carton repeatedly has maintained his innocence and vowed to see the legal process through. His trial is scheduled to begin on Oct. 29. Based strictly on the government’s track record in court, it is unlikely he will prevail. But if he does, he will become an intriguing free agent with a proven record in a volatile radio market. Carlin, Gray and Scott have found a bit of a groove in the lower-profile 1 to 3 p.m. time slot, but that does not mean all or any of them will last beyond the expirations of their contract in 16 months. If Benigno does not return, overnight host John Jastremski might have a better chance to join Roberts than anyone in “CMB.” Unless Jastremski’s recent guest appearances with Francesa become more regular. 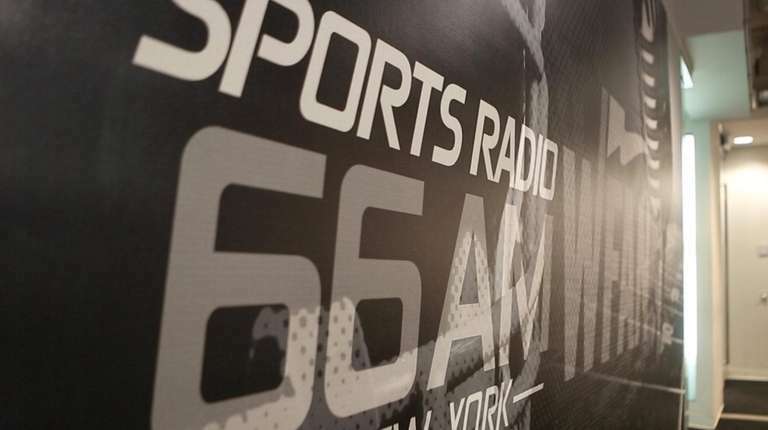 WFAN also could make a run at one or more of those who turned down the station in 2017, such as Kimberly Jones, still a popular fill-in at the station, or Chris Simms. Stay tuned! Especially if you are in WFAN’s target demographic of men ages 25-54! The rest of us do not technically count.